Born in London, Charles Brooking was mostly self-taught and emulated the style of Dutch master Simon de Vlieger (circa 1600-53). He is best known for the atmospheric qualities of his paintings and his subtle rendering of light. 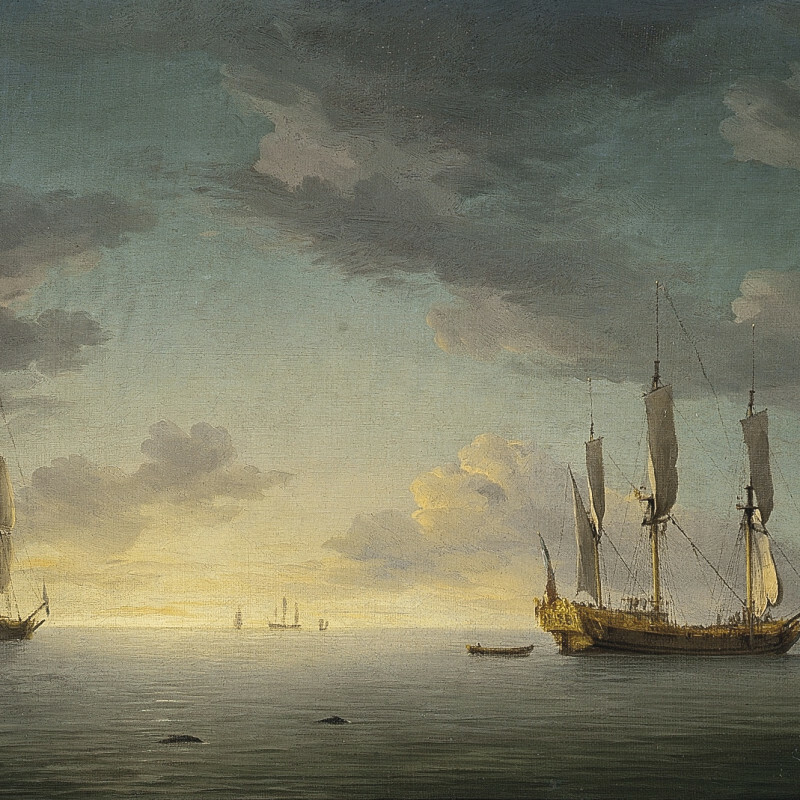 His first known picture dates to 1740, but it was Taylor White of the Foundling Hospital who commissioned Brooking, in 1754, to paint his first celebrated painting, A Flagship Before the Wind Under Easy Sail, a companion piece to Peter Monamy's (1681-1749) Fleet in the Downs. His works are rare as his career was not only non-prolific but also short-lived as he died young, at the age of 36, with very little artistic recognition. Francis Swaine (1725-1782) and Dominic Serres (1719-1793), were said to have been his pupils.